After scoring an predictable win in the Evangelical stronghold of Kansas, Ted Cruz cemented his comeback against Trump with a major victory in Maine, a state that has historically backed protectionist candidates. With a little less than half of the votes in, Decision Desk projects a wide-margin victory for Cruz in a state that was considered a shoo-in for Trump. In February, the governor of Maine, Paul LePage, had endorsed Trump, and many observers were expecting a repeat of New Hampshire, where Trump scored a commanding victory. With 45.5% in Cruz 42.3% to Trump 33.9% in Maine. On Super Tuesday, Cruz won the most delegates by far among the non-Trump candidates, picking up 217 to Marco Rubio’s 97. However, Cruz’s prospects were still considered thin, since his core strength came from Evangelical voters, and Rubio was considered a better anti-Trump candidate in the remaining GOP states. Many Republican insiders have floated the idea of a brokered convention, where delegates will get to select the GOP candidate through an arcane runoff process, but Cruz has rejected the idea. “Any time you hear someone talking about a brokered convention, it is the Washington establishment in a fevered frenzy. 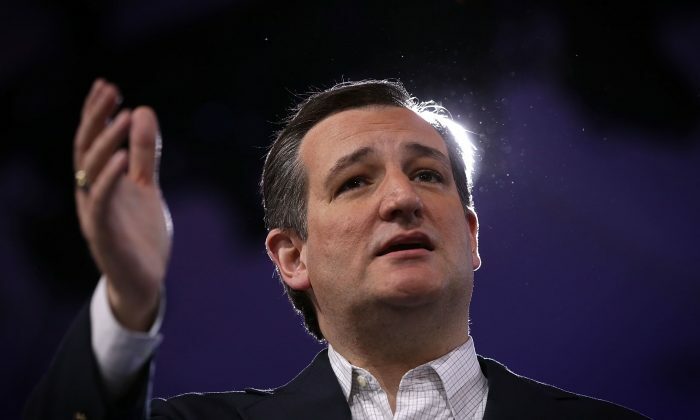 They’re really frustrated because all of their chosen candidates, all of the golden children, the voters keep rejecting,” Cruz said at CPAC today, according to RedState. As of Saturday, Cruz has 255 delegates to Trump’s 338.